Are you hungry and thirsty for the word of God? We offer “A Word For You” to satisfy that craving! One adviser said “make it short and inspiring”, so we set our goal to do just that. I must admit demanding is not close when describing the task. We spend many hours creating each display. Is it worth it? Only you can answer that question. I know one thing for sure, as an ordained minister, God holds me responsible to deliver His Word. It is for you to decide if you want to accept it as truth or not. [Ezekiel 3:1-15 (focus on verses 7-11)]. For more go to – A Message 4 U. Why praise and give thanks to the Lord? If you have to ask, consider the following. Do you have a favorite sports team and find that you get excited when they score or win? If you are a child of God you are on the winning team, we can celebrate right now! Maybe you clap and scream for a celebrity or entertainer. Who do you know that is more celebrity and entertaining than the Lord? Take some time to explore the beauty of this creation. Think of anything or anyone in your life that cause you to celebrate. Isn’t the One that created you—the One that takes care of you—worth showing that you appreciate the fact that He is? Come on you can do it, open your mouth and praise the Lord. Give Him credit for all that He is and that He has done, He desires our praise and thanks. Do you adore the Lord? If you do let Him know it, He wants you to show it…be blessed! – ♥ Tim. Need more please click/tap here and choose a Bible study. If not go to comment/poll area. Are you praising God, patiently rejoicing and happily encouraged that your faith has given you peace because you have hope? But what are you hoping for? A new car, home, promotion, job or some material thing? Make sure your primary desire is God’s kingdom please read Matthew 6:25-34 (key verse: 33) and 12:22-34 (key verses: 29-31); 1 Timothy 6:17-19. Side note: Did you know you should guard your thoughts and mind with the helmet of salvation [1 Thessalonians 5:1-11 (8); Isaiah 59:17; Ephesians 6:13-17 (17)]? What is hope? Hope gives us something to look forward to, to strive for or seek after. We can set a goal to meet a desired end and be excited as we see ourselves getting close to achieving the goal. The goal must be something that is possible to reach otherwise there will be little hope or I should say it does not make sense to set a goal that we do not believe we can obtain, this is hopeless. So when we desire to return to a prior state of well-being, it is called healing. In order for us to heal we have to have a certain amount of hope or expectation that it will happen. When we give in to despair or feelings of hopelessness we are already making room for defeat or failure. Never give up on hope, it will not disappoint you. The love of God has been poured into our hearts by the Holy Spirit who has been given to us. 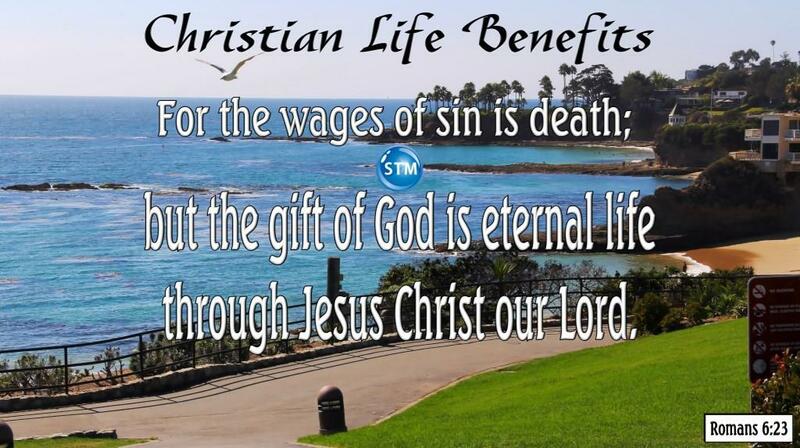 Hopes reward for you child of God is eternal life. Be blessed, visit us again and tell your friends and family about Sound Truth Ministry – ♥ Tim. 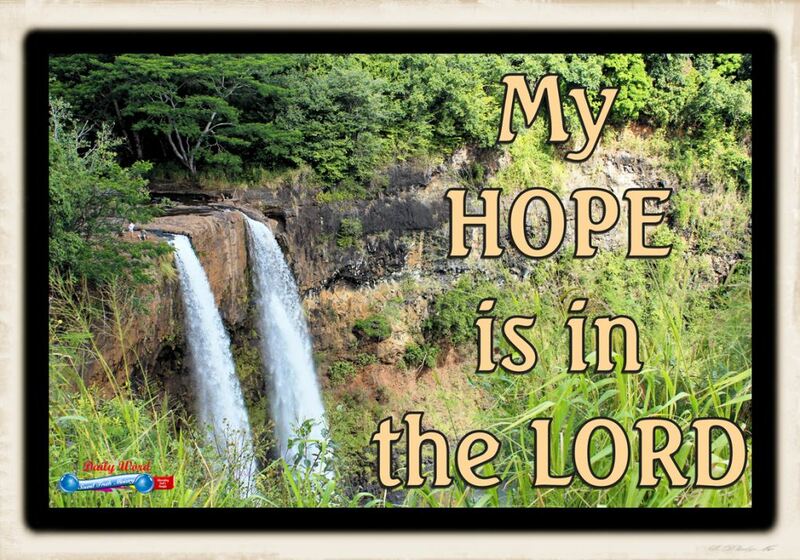 ♥ Question for “what are you hoping for”: Is your hope in the Lord and eternal life? Need more please click/tap here. If not go to comment/poll area. Change is one of the most difficult things to do, for most people (maybe not you, but others). 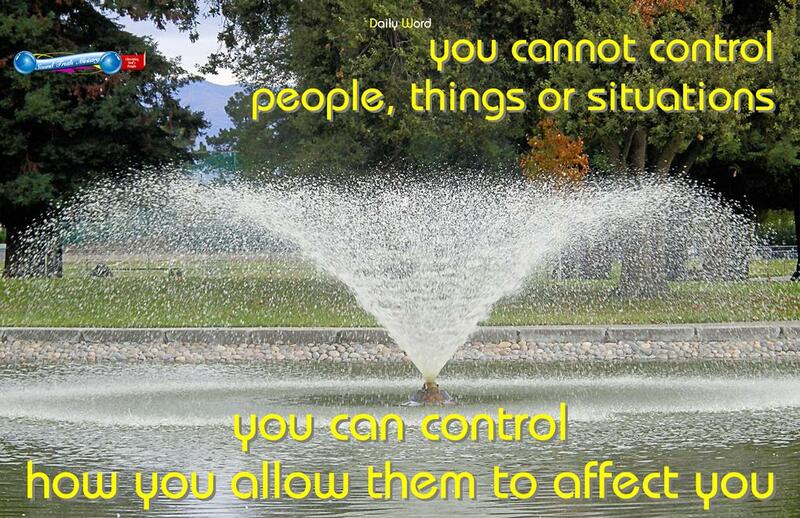 To change is to adjust or correct our behavior and thinking. Since you became a Christian are you aware of any changes in your life? The letters (epistles) in the Bible were written to help the Jewish Christians change their ways. Yes, God’s chosen people had to change and so do you. NOTE: The problem was going from the Law of Moses to grace introduced by Christ. They no longer had to follow the teachings of the Law. Go to From Law to Grace. You may or may not agree that we like to stay in our comfort zone of habits. These habits include traditions and daily routines. Think about it, before Christ came into your life did you spend time reading your Bible? Did you make time to pray or go out of your way to help others? Did you fellowship with other Christians? You should be a new person with new friends and habits. Was it easy for you to change? If you struggle with making good changes, remember there is one final change that you do not want to miss. Changing from a physical (designed for earth) to the glorious (designed for heaven) body. Living a Christian life is worth every struggle and hardship. Know that you are part of a Spiritual family that has an inheritance of eternal life; love it! Blessings to you my friends – ♥ Tim. Presenting ‘Christian Life – Changed Life‘. Do your best to please God in all you do! We have to learn to recognize the things from our distant and often recent past that may be the cause of your problems. This can be attributed to what others said about and to us once or on a regular basis. Statements like …”you will never amount to anything” ♦ “you are just like your mother/father” ♦ “you are stupid” ♦ “you are ugly” ♦ “you are fat” … can have a devastating effect on us and cause low self-esteem, feelings of inadequacy, feelings of being inferior or not good enough. Other common problems extending into our now are reflections of our environment, some say we are products of our environment, usually with a negative meaning. Release yourself from those things, it may seem impossible but you can do it. 1) forgiveness 2) realize that it was not your fault 3) accept the fact that we cannot change what happened but we can change the way we allow it to affect us. Are you ready for a new mind? Having a good state of mind is so needed in this life. It makes for good health and wellness. Try God and let Him give you a new life and a new mind. Be blessed – ♥ Tim. ♥ Question for ‘a good state of mind’: Do you have a new mind and a new way of thinking? But a man may say, You have faith, and I have works: show me your faith without your works, and I will show you my faith by my works. 19 You believe that there is one God; you do well: the devils believe also, and tremble. 20 Do you want to be shown, O foolish man, that faith without works is dead? 21 Was not Abraham our father justified by works, when he offered Isaac his son upon the altar? 22 You see that faith was active with his works, and by works was faith made perfect; 23 And the scripture was fulfilled which says, Abraham believed God, and it was credited to him as righteousness: and he was called the Friend of God. 24 You see then that a man is justified by works, and not by faith only. 25 And in the same way was not Rahab the prostitute justified by works, when she received the messengers, and had sent them out another way? An excerpt from Barnes’ Notes on James 2:26 There is as much necessity that faith and works should be united to constitute true religion, as there is that the body and soul should be united to constitute a living man. If good works do not follow, it is clear that there is no true and proper faith; none that justifies and saves. What does it profit, my brethren, if a man say he has faith, but has not works? can that faith save him? 15 If a brother or sister is without clothing, and destitute of daily food, 16 And one of you says to him, Depart in peace, be warmed and filled; yet you do not give him the things which are necessary for the body; of what benefit is that? 17 Even so faith, if it does not have works, is dead, being alone James 2:14-17 (RKJNT). Faith must be put into action; often we are tested to show our faith. In 2013 our apartment building caught fire, I recall speaking faith while watching the flames creep along the roof getting closer and closer to our bedroom. This was the third time in my lifetime that one of my places of residence caught fire. Each time God protected my belongings and I knew He would do it again. “He will not let anything happen to our things,” I said to my wife and thank God there was only smoke damage our insurance covered the cost. (I posted the pictures on Google + and Facebook). Oh, we serve a wonderful God! Please do not be like Peter who stepped out on faith to walk on water during a storm. He allowed the surrounding conditions to cause him to take his focus off of the Lord and reality took over [Matthew 14:22-33]. I urge you to let your faith work, faith will not let you down because Jesus never fails our God is faithful (1 Corinthians 1:9 and 10:13), be blessed! – ♥ Tim. 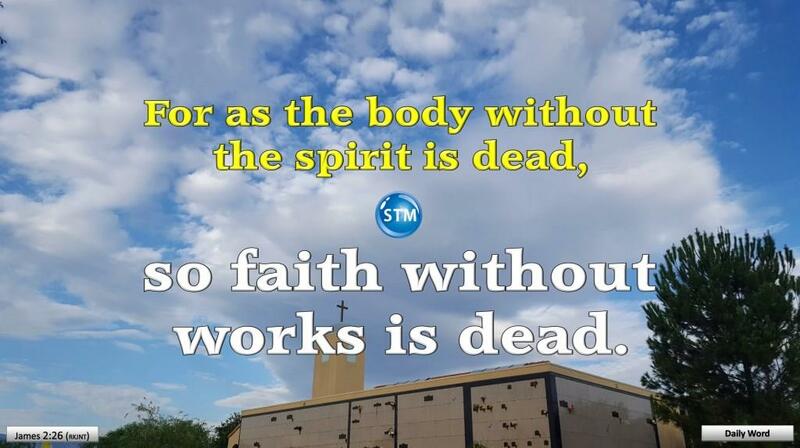 ♥ Question for “Faith in Action”: Is your faith working or unemployed? 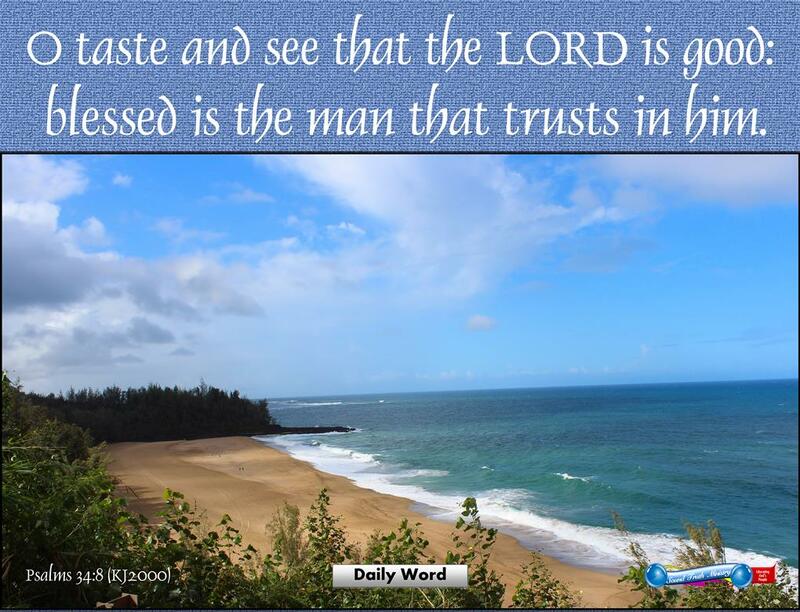 “O taste and see that the LORD is good: blessed is the man that trusts in him. Of course the word ‘taste‘ does not literally mean to eat but perceive, see or discover—find out for yourself—that the Lord is good. Compare this with the parable Jesus used in Luke 14:15-24 and Matthew 22:1-14 of the ‘great supper’; take a look and see what Jesus is actually speaking of. Parables were stories that Jesus used to show spiritual things using natural and familiar events. To farmers He used stories that related to farming like planting (sowing) and harvesting (reaping). Blessed–happy, a person that trust the Lord finds happiness [Psalms 84:12]. Isaiah 30:18 And yet the Lord is waiting to be merciful to you. He is ready to take pity on you because he always does what is right. Happy are those who put their trust in the Lord. (GNT) Try the Lord and see that He is good, you will find true happiness when you learn to trust Him, be blessed! – ♥ Tim. Praise our God! What He does is wonderful, flawless and beyond our understanding. To commend is to mention with approval; i.e., to praise. Praise is the joyful honor of thanks given to God. It is the act of worship to our Creator by song and words of thanksgiving. Sing about the goodness and wonderful works of the Lord. When we praise, we talk about the things’ God has done for us. Our songs of praise (commendation) should help and inspire the children of God. You may not care to have others say good things about you. But God loves and deserves praises. Learn to lift your voice in praise to God. Do not allow Jesus to come into your life without showing gratitude. Praise (commend) our wonderful Lord and Savior, Jesus! Blessings to you all in Jesus name – ♥ Tim. 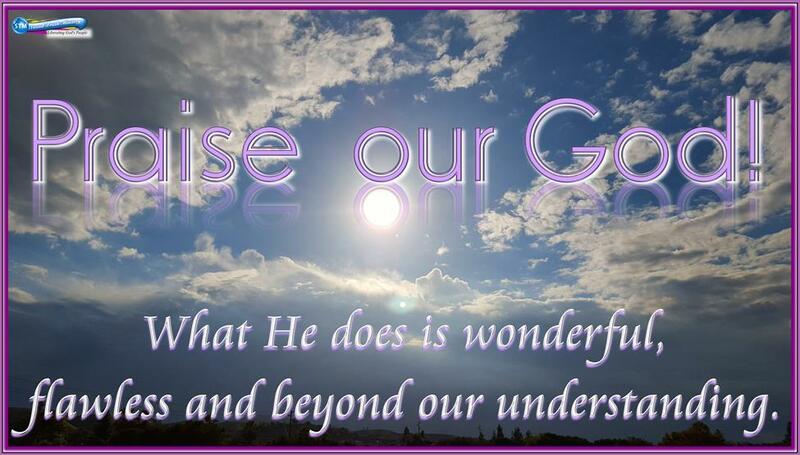 ♥ Question for “Praises to God”: Does your praise honor God? Does it tell of His goodness and mercy? Does it speak of how wonderful He is? Need more please click/tap one of these Bible studies: True Worship – Pleasing God || Praise the Lord || God is Worthy of Praise || Why do we Praise God? I love you – ♥ Tim. We pray that you were fed well by “A Word For You”, please let us know if this has blessed you in any way! If you would like more, please go to our site navigation page to find other topical Bible studies for you! (AUV) It is our understanding that the An Understandable Version is in the creative commons via e-Sword || (BBE) Bible in Basic English – public domain. || Common English Bible (CEB) Copyright © 2011 by Common English Bible Scripture quoted by permission. || Scripture quotations marked (CEV) are from the Contemporary English Version Copyright © 1991, 1992, 1995 by American Bible Society, Used by Permission. || (ERV) Taken from the HOLY BIBLE: EASY-TO-READ VERSION © 2001 by World Bible Translation Center, Inc. and used by permission. || (ICB) Scripture taken from the International Children’s Bible®. Copyright © 1986, 1988, 1999 by Thomas Nelson. Used by permission. All rights reserved. || (KJ2000) The King James 2000 Bible, copyright © Doctor of Theology Robert A. Couric 2000, 2003 Used by permision. All rights reserved. || (KJV) King James Version – public domain. || Scripture quotations marked (NLT) are taken from the Holy Bible, New Living Translation, copyright ©1996, 2004, 2007, 2013 by Tyndale House Foundation. Used by permission of Tyndale House Publishers, Inc., Carol Stream, Illinois 60188. All rights reserved. || (NLV) It is our understanding that the New Life Version is in the public domain via New Life Version – studylight.org || (NSB) The New Simplified Bible may be quoted without express written permission of the publisher. Please give credit to the New Simplified Bible when quoting from it. New Simplified Bible. All Rights Reserved Worldwide. Copyright (c) 2003 || (RKJNT) Revised King James New Testament – public domain. || (The Voice) The Voice Scripture taken from The Voice™. Copyright © 2008 by Ecclesia Bible Society. Used by permission. All rights reserved. || (TCNT) It is our understanding that the Twentieth Century New Testament, copyright 1904, is in the public domain via Twentieth Century New Testament – wikipedia.org || (WEB) World English Bible – public domain. Pingback: Do Not Give Up Hope God is on Your Side You Can Make It! You are welcome and thank you for commenting! I love this and want more so that I can use it to reach out to our youth. You are very welcome and thank you for your support! Thank you Jesus for delivering me from my sins!